WASHINGTON — Apartment construction in the Northeast fueled a jump in home building in July as the pace of housing starts nationwide reached the strongest pace in six months. The rate of overall construction rose 2.1 percent to a seasonally adjusted annual rate of 1.21 million from 1.19 million in June, the Commerce Department said Tuesday. That was the highest level since February. Most of the gain came from an 8.3 percent acceleration in the construction of multi-family buildings. Construction of single-family houses edged up just 0.3 percent. "Continued recovery in housing will be supported by historically low mortgage rates, coupled with a firming labor market that has begun to spur on wage gains for workers," said Neil Shankar, an economist at TD Bank. Construction climbed 15.3 percent in the Northeast. The Midwest and South reported smaller gains, while starts slipped in the West. Still, future gains may be limited because current housing starts are outpacing permits to build in the future. Authorized permits slipped 0.1 percent in July to an annual rate of 1.15 million. Ian Shepherdson, chief economist at Pantheon Macroeconomics, expects permits to increase in response to the gains in housing starts. "The gap between the sales and permits numbers is not unprecedented, but it is wide, and we have to expect permits to rebound strongly in the near future," Shepherdson said. For now, more Americans are upgrading to newly built single-family houses. Ground breakings for houses have shot up 10.6 percent year-to-date, while starts for apartment buildings have dipped after a torrid pace in recent years to accommodate an increase in renters. Housing starts remain below their recent 25-year average of roughly 1.3 million, even after having rebounded from the depths of the housing crash that triggered the Great Recession nearly nine years ago. 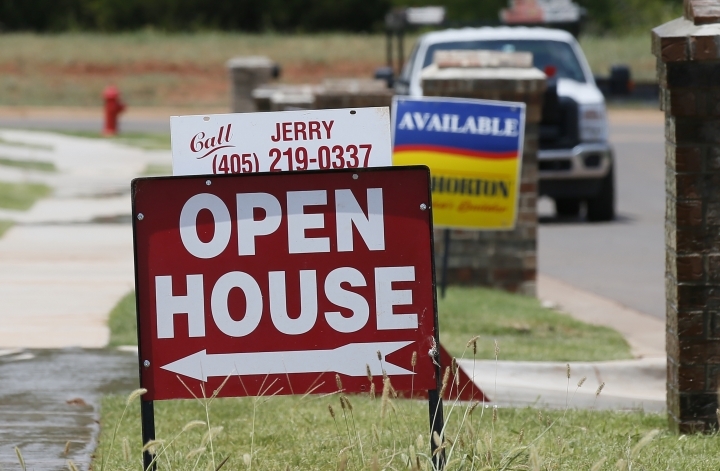 Mortgage rates at historic lows and a strong job market have bolstered real estate this year. Sales of new homes are at their strongest pace since early 2008. And existing homes are selling at their best rate since early 2007 as more buyers are finalizing deals despite the lack of available homes for sale. Homebuilders appear optimistic that sales will continue to rise. The National Association of Home Builders/Wells Fargo builder sentiment index released last week rose two points to 60 following a downwardly revised reading of 58 in July. Readings above 50 indicate more builders view sales conditions as good rather than poor.